Spring Grove, PA's event of the year is the Smoke in the Grove BBQ Competition. A community festival featuring the Pennsylvania State BBQ Championship, with more than 60 competition teams from the Mid-Atlantic area and beyond competing for over $14,000 in cash prizes and the chance to compete in the annual Jack Daniel’s World Championship Invitational Barbecue in Lynchburg, TN and The American Royal in Kansas City, MO. In addition, more than 12 amateur teams from local fire companies and police departments will compete in the First Responder's Cup to see who has the best wings while competing for bragging rights. With great food, great music, and great people, the Smoke in the Grove BBQ Competition looks to create a tradition that we hope you will want to be a part of this year and in the years ahead. The Smoke in the Grove BBQ Competition is free for the public and expects to draw a record setting attendance for Spring Grove. The entire event is being brought to you by the Borough of Spring Grove, the Spring Grove Chamber of Commerce and Spring Grove Regional Parks and Recreation Center. Proceeds from the event will be dedicated to creating a vibrant business community and visitor friendly destination in downtown Spring Grove, PA. This event is the largest fundraising effort and 100% of the proceeds are reinvested locally. 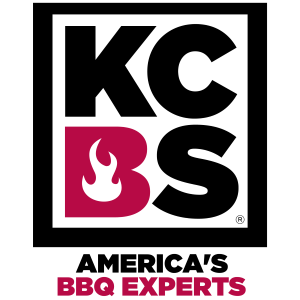 2018 KCBS rules shall apply unless otherwise amended for 2019.